Interview with ADHD Expert Thomas E. Brown, Ph.D. I recently had an opportunity to interview Dr. Thomas E. Brown about his new book, A New Understanding of ADHD in Children & Adults: Executive Function Impairments (Routledge, 2013). 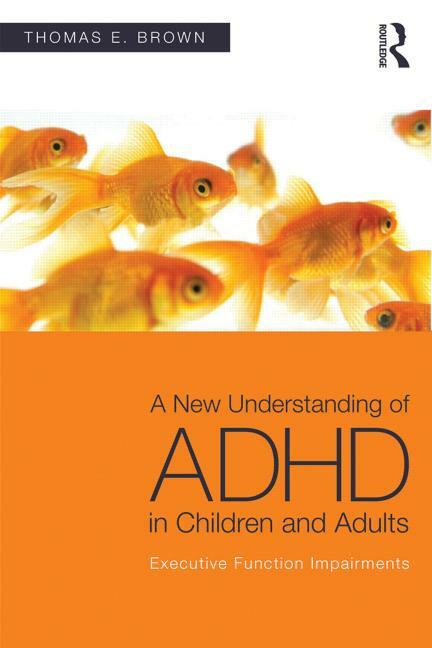 In this book, Dr. Brown proposes a new model of ADHD. This model uses research data to explain that ADHD impairments are actually due to problems in the development of the brain’s executive functions. The interview took place on my radio show, Practical ADHD Strategies. You can listen in the player below. Dr. Brown is Associate Director of the Yale Clinic for Attention and Related Disorders in the Dept. of Psychiatry at Yale University School of Medicine. In addition to his forthcoming book, he is the prize-winning Attention Deficit Disorder: The Unfocused Mind in Children and Adults (Yale Press). He edited ADHD Comorbidities: Handbook for ADHD Complications in Children and Adults (American Psychiatric Press) and is author of the Brown ADD Scales (Pearson). He has presented symposia and workshops throughout the US and in 40 other countries. More information about Dr. Brown is available at his website: www.DrThomasEBrown.com.